Nearly every small town in America has a bank trust department, yet there seems to be this idea that trust funds are only for the super-rich. Nothing could be further from the truth. Trust funds aren't just for the Rockefellers. You can use trusts to build significant wealth even if you start from modest beginnings. Bank trust departments are among the oldest and most established areas of traditional banking. The clients of a bank trust department can include a successful small business owner in town who wants to put aside money for his grandchildren to go to college, orphans who lost their parents and now have a large life insurance settlement, or an incapacitated adult who was rewarded a settlement following an accident. Trust departments can be responsible for making sure a block of Johnson & Johnson shares bought by Great Aunt Betty a few generations ago is still paying dividends to the youngest family members, while never allowing them to sell the position or borrow against the shares. They can work to guarantee a second wife is allowed to remain in the house after the death of her husband, but that the house itself goes to the children from a first marriage when the second wife dies, even if she later remarries or loses her mind. Let's take a moment to discuss each individually. Having the bank trust department serve as a sole trustee or co-trustee along with a trusted family member or friend when determining decisions in accordance with the governing trust documents. Often, this fee is several thousand dollars per year, starting at around $2,500 per trust registration. Disbursing checks and property in accordance with the trust terms, making sure the beneficiaries get the assets that the grantor wanted when he or she wanted, in a manner that he or she would have approved. This can include paying household bills, cutting a check to university for tuition, buying a house, an outright cash transfer, or any other lawful instruction. Handling securities custody and reporting so that even external, third-party investment managers have to hand over the stock certificates, title deeds, bonds, and other assets to the bank to keep safely in the vault. Filing Federal and state taxes for the trust itself, which is treated as a standalone entity with its own tax identification number. Specialized services such as insurance administration to guarantee trust assets are covered in the event of a loss. Some companies, such as Edward Jones, provide trust administration services on a more a la carte basis. To demonstrate, Edward Jones charged $300 for a tax return filing, a $12,500 one-time trust settlement and distribution fee on the creation of the trust fund, $1,500 per title transfer fee on real estate, $3,750 per real estate sales fee, etc. Trust administration might make a lot of sense for a person who wants to leave behind the specific property and have it remain mostly untouched. Consider the town of Quincy, Florida. The local bank has roughly 50% of trust assets in shares of The Coca-Cola Company because the little community once had more per capita Coke millionaires than anywhere else on the planet. This came about because in the 1920s and 1930s, the banker, Pat Munroe, decided that he should convince his clients, friends, and acquaintances to buy shares of the beverage giant as it was sailing through the Great Depression just fine. He even went so far as to underwrite bank loans for those he knew could repay the money, encouraging them to take an ownership stake that they would pass on through the generations, just as they would a private business. The families, growing ever richer from their share of Coca-Cola's earnings and dividends, passed the equity down through the family tree, parents to children, children to grandchildren, grandchildren to great-grandchildren. For some of these trusts, the primary job of the trust administrator is to collect the dividends, make sure they get paid to the right beneficiaries and file the tax return. There are few, if any, capital allocation decisions involved so an administration relationship is what is needed. Trust administration services could also be used for certain intellectual property. Imagine you write a bestselling novel. Due to changes in copyright law in the United States, the ownership of that copyright is guaranteed for 70 years past the date of your death. A trust administration arrangement might involve the trustee at the bank collecting your royalties and then paying them out based on your carefully written wishes. That way, your children or grandchildren could never sell the copyright, lose it in a high stakes game of poker, or otherwise squander it away. Sometimes, trust fund administration services aren't enough. If you need or want the bank trust department to make investment decisions, putting the trust fund assets to work, you need to pay for investment management services on top of the trust administration services. When you contract a bank trust department to provide investment management services, it will handle the trust assets, investing and divesting assets according to the trust documents that spell out the grantor wishes and restrictions. Depending on the specifics of the arrangement, most portfolio management services cost between 1% and 2% of net assets per annum, often taken in quarterly installments, with a minimum fee level set at some price that corresponds with the client size the advisor wishes to attract. For example, back in 2014, to begin an investment management relationship, Vanguard, which is among the lowest cost trust companies in business today, charged a fee of 0.7% on the first $1,000,000 in assets, with a minimum annual fee of $4,500 and a minimum trust value of $500,000. The next $1,000,000 is charged only 0.3%, and any amount above the first $2,000,000 is only 0.20%. You'd also pay indirect fees on any Vanguard mutual funds held in the portfolio through the mutual fund expense ratio. 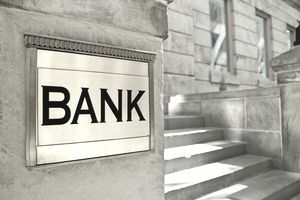 A majority of bank trust departments are going to stick to investments in traditional asset classes such as stocks, bonds, real estate, cash, and private businesses. To go back to Vanguard, if you were to leave $500,000 in a trust for your children, all in cash from a life insurance policy, the investment management staff is most likely going to build a diversified collection of holdings meant to permit a safe withdrawal rate; gilt-edged bonds, blue-chip stocks, maybe some REITs, a few Treasury bills. Some bank trust departments do specialize in certain types of assets, with experience in particular areas. For example, in Texas, it might not be unusual for a trust to include cattle or oil rights. In Iowa, an entire working farm might be put in trust until a minor comes of age with the bank handling the contracts for the sharecroppers to earn the best productive return achievable. In New York, a wealthy scion coming of age might have an entire apartment building or rare art collection put into trust. The fees for these more esoteric services might be a bit higher since they involve more day-to-day interaction. You might also hire specialty money management firms for the investment management contract, such as those specializing in value investing. Investment management services provided by bank trust departments are often very conservative compared to a typical management arrangement on a regular brokerage account because the advisors are acting as fiduciaries. Therefore, they must adhere to the so-called "Prudent Man Rule", which stems from a nearly 200-year-old court case in Massachusetts known as Harvard College v. Armory. That ruling requires trustees, "to observe how men of prudence, discretion, and intelligence manage their own affairs, not in regard to speculation, but in regard to the permanent disposition of their funds, considering the probable income, as well as the probable safety of the capital to be invested." Given how much discretion a judge would have if the beneficiaries sued them for losses, few corporate trustees are willing to make risky investments that come close to the line when dealing with assets held in trust. If you are interested in learning more about the pricing of a specific bank trust department, you need to contact the institution and ask for their fee schedule. These days, most can be found online. Using it, you should be able to get a rough idea of how much money you'd need in trust to make a particular institution cost effective. What Is a Trust Fund and What Are the Benefits of One?